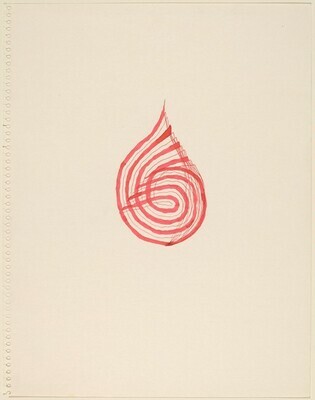 Richard Tuttle Selected Works: 1964-1994, Sezon Museum of Art, Tokyo, 1995, 52, fig.20. "The Art of Richard Tuttle", Dallas Museum of Art; Museum of Contemporary Art, Chicago; The Museum of Contemporary Art, Los Angeles, 2006-2007, no. 172. Painting, Drawing and Sculpture of the '60s and the '70s from the Dorothy and Herbert Vogel Collection, Institute of Contemporary Art, University of Pennsylvania, Philadelphia, 1975: pp 5, 21. Works from the Collection of Dorothy and Herbert Vogel, The University of Michigan Museum of Art, Ann Arbor, 1977, 193.
de Galicia, Xunta. Richard Tuttle. (Exh. cat. Museu de Art Contemporanea de Serralves, Porto & Centro Galego de Arte Contemporanea, Santiago de Compostela) Porto, Spain, 2002: p. 41.